About Us – Ditta Mazzi Arturo & F.
The company still carries the name of its founder, Arturo, who, in 1910, started up his business in the “Florence workshop”, where worked iron and copper. With time the first industrial washing machines were born, then the autoclaves and finally the steam generators. Over the years the workshop has been transformed into a Company, handed down from father to son, from generation to generation. From Arturo to Fernando, then Ugo and after Alessandra, that today, together with his son Stefano, runs the Company with the same spirit. Five generations united by passion and love for their work, the desire to continue to grow and innovate the Company, always believing in the power and in the positive values of craftsmanship. 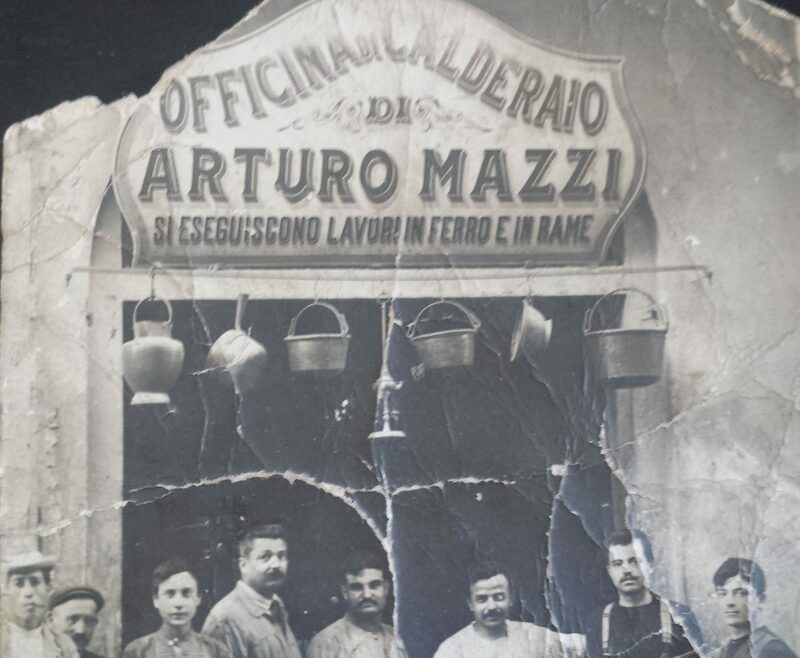 Today, more than hundred years later, in Italy and worldwide, the company Arturo Mazzi & F ° is an established company, reliable and able to offer quality, expertise and courtesy. Our best thanks to all our customers and all our cooperators, for the renewed confidence over time. Nous sommes vraiment très satisfait des chaudières Mazzi, très simples, très économiques et surtout aucun problème technique ! Les réglages sont seulement à faire sur le brûleur. La simplicité et la fiabilité à l’état pure. Merci Mazzi ! Abbiamo scelto il generatore di vapore Mazzi perché dopo un accurata selezione di fornitori ci è sembrato che per qualità prezzi e affidabilità l'azienda rispondesse ai requisiti richiesti, in seguito tutto ciò si è confermato in quanto la consegna è stata tempestiva, il generatore di vapore funziona benissimo e spesso lo consigliamo a coloro che nel nostro settore si avvicinano al progetto Birra. I chose steam generators "Mazzi" because in a compact space we obtain reliable and efficient power to brew our beers !! !